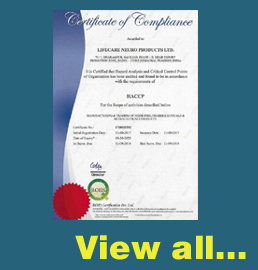 Top neuro care products for franchise | Lifecare Neuro Products Ltd. 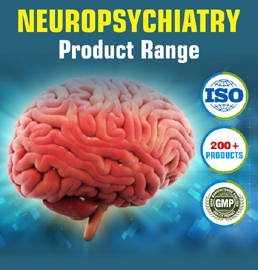 Welcome to Lifecare Neuro Products Ltd.
LIFECARE NEURO PRODUCTS LIMITED (LNPL),a registered company in Baddi in Himachal Pradesh, is engaged in the manufacturing, marketing and exporting of Pharmaceutical formulations. Its promoters have an experience of over 30 years in this trade. The Unit has a total manufacturing capacity of 90.00 lakh tablets, 6.00 lakh capsules and 50 thousand sachets per day. Apart from manufacturing its own range of about 325 NEURO PSYCHIATRIC AND GENERAL PRODUCTS, there is spare capacity to manufacture on third party arrangement or on loan license basis. The manufacturing unit (spread over 28000 sq. ft.) has substantial cost advantages and other fiscal benefits due to its strategic location in the Special Economic Zone (SEZ) in the State of H.P. The unit is exempted from Central excise duty for the first 10 years, ie upto 24 Nov, 2016, which gives it a substantial competitive edge. The cGMP Certified Manufacturing unit is built according to WHO standards and meets all the requirements of Schedule M. Modern machines of leading companies like PAMPAC, GANSONS, CADMACH, ANCHOR MARK, BOSCH etc are used for precision, quality and accuracy.The analytical laboratory includes chemical and instrumental sections, which is approved by FDA, Shimla. Scientific,analytical or other technical assistance from NABL Certified laboratories is also taken in relation to analysis or when the use of sophisticated instruments like, I.R., H.P.T.L.C. etc. is mentioned in the pharmacopoeia. 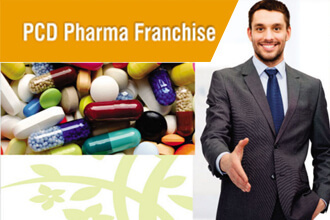 The main objective of the company is to manufacture very high quality pharmaceutical products. Production in Nonbetalectum tablet and capsule sections started from from 14 November 2006 and now the Cephalosporin tablet and capsule sections is also functional, besides the sachet section. Manufacturers & Exporters Specializing in Neuro & Psychiatric Segments. Anti-Psychotics, Anxiolytics, Anti-Depressants, Anti-Depressants, Anti-Convulsants, Cerabral Activators, Anti Diabetics, Anti Hypertension, Gastroenterological, Dermatological, Anti parkinson, Anti Arthritics, Anti Asthmatics, NSAIDs, Anti Migraine, Anti Biotics, Platelet Booster, Anti Alcoholism, Vitamins, Minerals, Laxative, Steriods. We are manufacturers and exporters of Tablets, Capsules, Sachets, Powders, Dry Syrups, Injections & Suspensions. Antipsychotics Antidepressants Anticonvulsants Anxiolytics Antiemetics. Our Services Franchise Partnering, Third Party Manufacturing, Manufacturing on Loan License basis, Supply Chain Partnering, Organizational and Institutional Supply. Manufacturing The Unit has a total manufacturing capacity of 1 crore tablets, 10 lakh capsules and 50,000 sachets per day.